Everywhere scientists have looked for them they have found tiny bits of degraded plastic—including, now, in human poop. New research provides evidence of something scientists have suspected since microplastics were first detected in seafood, salt and bottled water: People are eating plastic particles, and excreting at least some of them. Although the study is a small one, geared toward showing microplastics can be detected in excrement and are actually found there, it tees up future work to look for broader patterns of human microplastic exposure and the potential associated health impacts. Microplastics include fragments smaller than five millimeters (the diameter of a grain of rice) that result from the breakdown of larger debris, such as bottles, in the environment. They are also made up of fibers shed by synthetic fabrics, and plastic beads added to some cosmetics. They have turned up everywhere from the seafloor to farm soil to the air around us—as well as in the first few foods and beverages scientists looked at—making it almost certain people have been ingesting them. But until now there were no direct samples from humans showing this was happening. Stools seemed “the most promising place to look in humans for the first time,” says study co-author Bettina Liebmann of Environment Agency Austria. Detecting microplastics in poop is tricky, though. She and Philipp Schwabl, of the Medical University of Vienna, spent weeks developing a method that would break down the organic matter present in feces without affecting any microplastics that might be there so the plastic could be isolated from samples. The team collected samples from eight participants across Europe and Asia, who were instructed on how to minimize contamination from, for example, the fibers that are continuously floating in the air—the bane of many microplastics researchers. 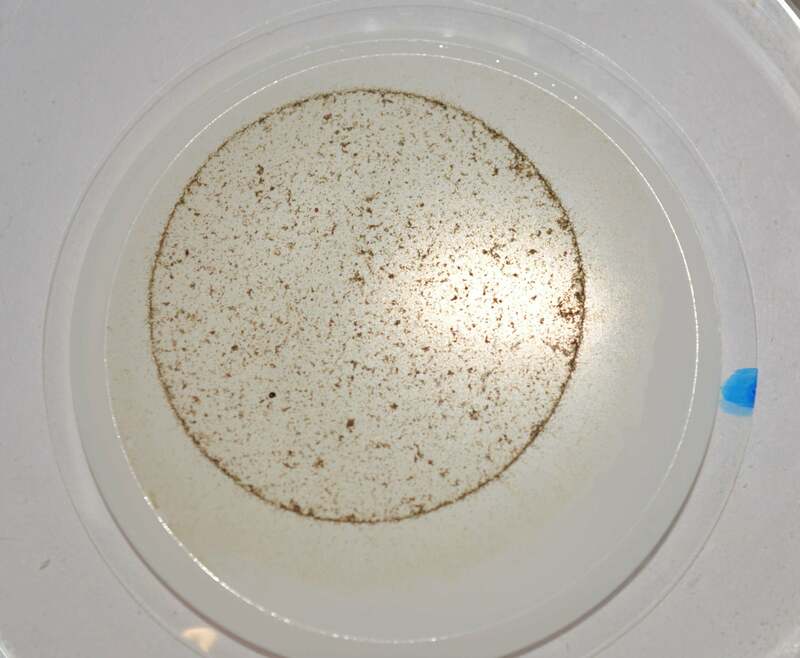 The scientists analyzed the stools for microplastics ranging in size from 50 micrometers (almost twice the diameter of a human skin cell) to five millimeters. “We were quite astonished that we found microplastics in every single sample,” Liebmann says. They also detected nine of the 10 common types of plastic polymers they looked for—notably polypropylene (used, for example, in bottle caps), polyethylene terephthalate (used in drink bottles) and polystyrene (used in food containers). Although they could not identify the exact source of each particle, the findings “confirm that we are surrounded by plastics in our everyday life,” she says. The work, presented October 23 in Vienna at United European Gastroenterology Week, an annual meeting of specialists in digestive health, serves as a jumping-off point for further research. Liebmann and Schwabl hope to launch a larger study with more participants to look for any links between the amounts, types and sizes of plastic particles, along with where people live, what they eat and other lifestyle factors. They also hope to look for smaller sizes of plastic—which are the most likely to be able to penetrate the gut lining and enter the circulatory system and other organs, such as has been found to happen with other nanosize, man-made particles. The new research suggests at least some microplastics (at the upper end of the size range) are being excreted by the body, which Liebmann calls “a good sign.” It remains unclear, though, how what is coming out compares with what might still be left in the body. “We’re just simply missing the frame of reference,” says Martin Wagner, an ecotoxicologist at Norwegian University of Science and Technology who was not involved in the new study.